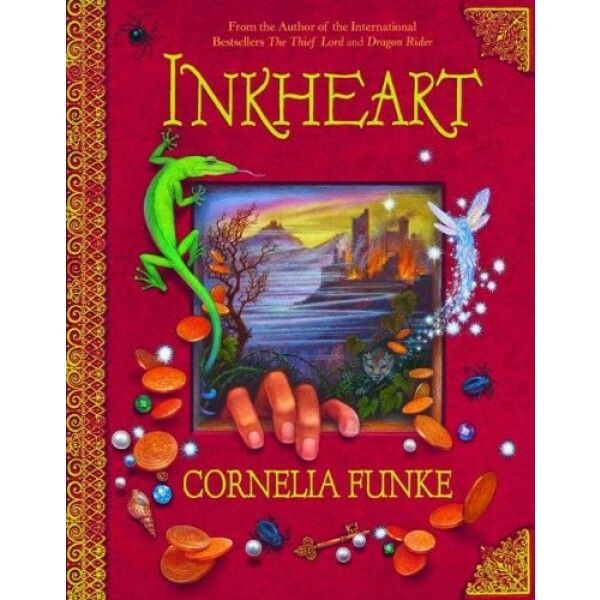 This is INKHEART -- a timeless tale about books, about imagination, about life. Dare to read it aloud. Meggie's father, Mo, has an wonderful and sometimes terrible ability. When he reads aloud from books, he brings the characters to life -- literally. Mo discovered his power when Maggie was just a baby. 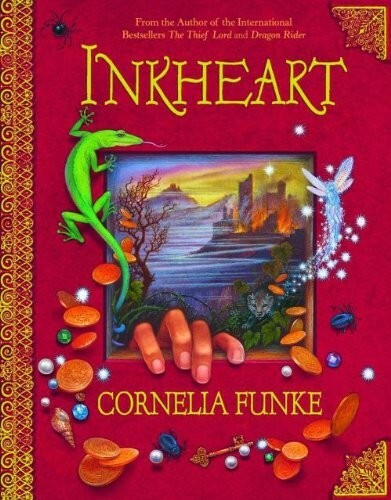 He read so lyrically from the the book Inkheart, that several of the book's wicked characters ended up blinking and cursing on his cottage floor. Then Mo discovered something even worse -- when he read Capricorn and his henchmen out of Inkheart, he accidentally read Meggie's mother in. Meggie, now a young lady, knows nothing of her father's bizarre and powerful talent, only that Mo still refuses to read to her. Capricorn, a being so evil he would "feed a bird to a cat on purpose, just to watch it being torn apart," has searched for Meggie's father for years, wanting to twist Mo's powerful talent to his own dark means. Finally, Capricorn realizes that the best way to lure Mo to his remote mountain hideaway is to use his beloved, oblivious daughter Meggie as bait!